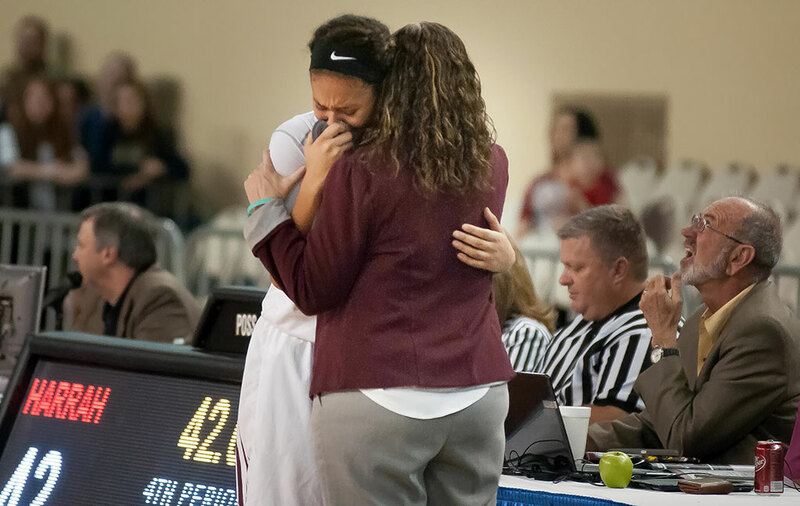 Ada senior Maddie Jessepe hugs coach Christie Jennings in the waning seconds of Friday’s semifinal game against rival Harrah. 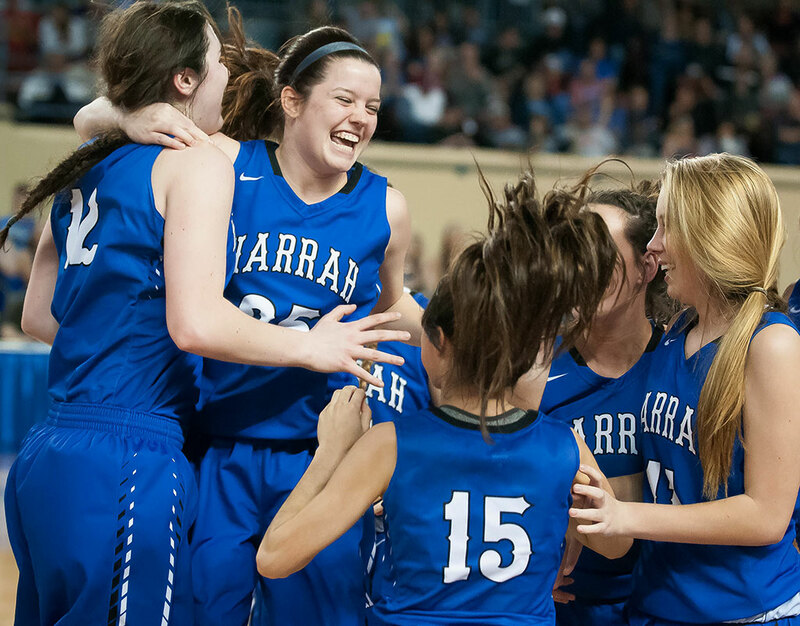 After defeating Ada, the Harrah girls went on to beat Fort Gibson to claim the Class 4A state championship trophy. 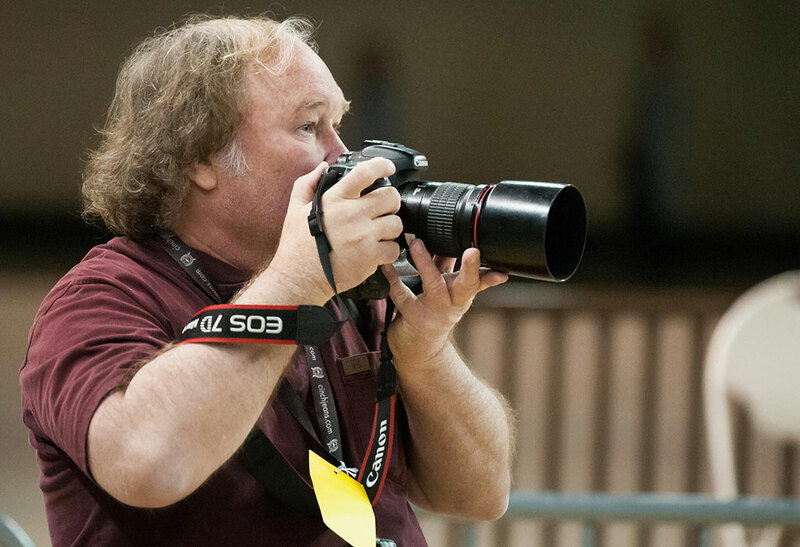 Fellow photographer and good friend Jim Beckel bangs away with his Canon 135mm f/2. Jim and I took a hiking trip together in 2013, and he was great company. It was great to work with him again. 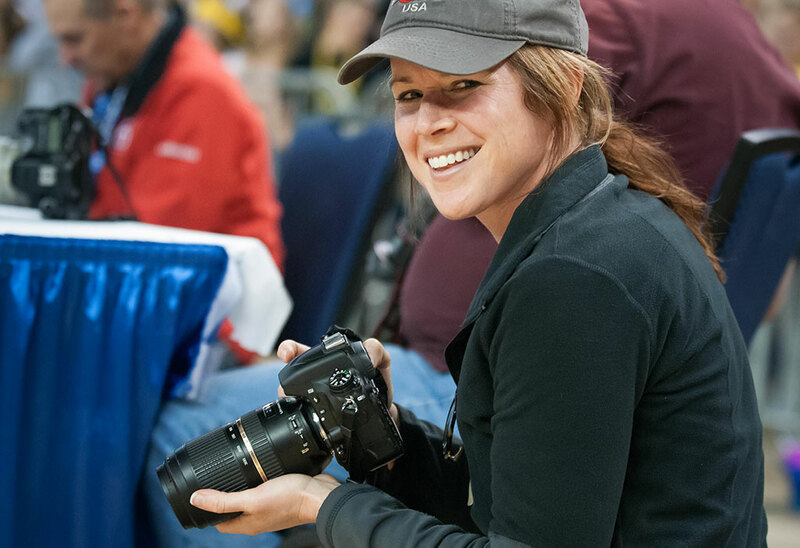 Also photographing today’s Latta Panther game was longtime friend Sonja Jeter Anderson. When I asked her to remind me when she played as a Lady Panther, she said it was 1997, 20 years ago. It seems like yesterday. 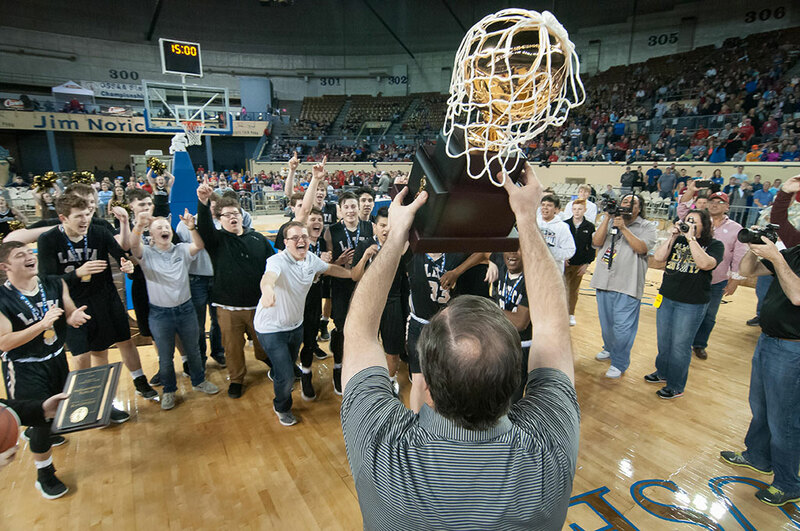 The last time Latta claimed a championship in basketball was in 2014, when I shot beside friend and then Ada News Editor Dan Marsh. The Panthers took home the gold trophy today. The Latta Panthers receive their Class 2A championship trophy today in Oklahoma City. I was back in Ada by around 2 p.m., when I went to Waddell Vineyard, where I was met by friends Bob and Debbie, who I have photographed many times. In conversation I learned that Debbie and Sonja Jeter Anderson have been friends for years. Some sort of weird circle of small town friendship had been drawn, and I was glad to be part of all of it. 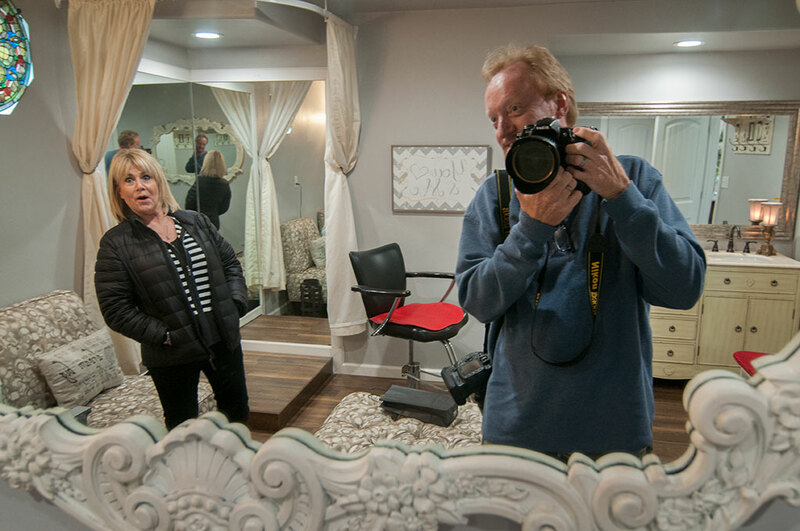 Debbie Waddell looks surprised as I photograph us in a mirror at the Waddell’s wedding chapel, my last assignment for the day. Ha! She was trying to stay out of the picture, but she couldn’t escape.